The first of our Grand Sextiles is still more than two weeks away. And there is plenty of interesting Astrology in the mean time. Readers have been asking me what these Grand Sextiles mean. Clients have been asking for Transit Charts with them. Both configurations (7/29/13 and 8/26/13) include nearly every planet and touch more than half of the signs. That’s a lot of data to interpret. Even the geometry is tough because there’s so much of it. Today, I am going to touch on a few of the building blocks. I am going to focus on some astrology that is in between now and 7/29, but specifically those pieces that contribute to the Grand Sextile. Mars ingresses Cancer early tomorrow morning (CDT). Why is this important? Because, in my opinion, the central axis of the Grand Sextile on 7/29 is the Mars–Pluto opposition. More on that in a second. Mars in Cancer has significant meaning to me personally. My progressed Mars is in Cancer and has been for a while. In fact, it will be for the greater part of the rest of my life. Mars is said to be in fall in Cancer. In other words, he is weak. The most dramatic way to look at it is to say that Mars is emasculated by the femininity of Cancer. I say this because in my most frustrated moments, I’ve felt this way. My emotions overpowered my drive. A seemingly small bit of pain rendered me lame. The Universe served me by placing a number of people with Natal Mars in Cancer in front of me – men no less. I wanted to see the Perfection of this aspect, not simply the challenge. I now understand much better. Mars, in Cancer, must retain his own heart connection to maintain his drive. He can’t just pillage and purge. He must act based on the desire in his heart. A person with Mars in Cancer can be formidable when following his cherished desires. Mars joins Jupiter on 7/22/13. One week before the Grand Sextile. This is huge! Jupiter is exalted in Cancer. His is happily splashing the nurturing water all over his big body. He is frolicking. It does bring a tear to the eye. I can tell you I have been crying often these days. Songs, animals, art, and words touch me. My armor is definitely off. As Mars passes Jupiter, he is going to pick up his vibe. He’s going to laugh some, cry some, and get in touch with his emotions. This is good! He’s going to need it, because of what happens five days later. Mars makes an exact opposition to Pluto on 7/27/13, less than 48 hours before the Grand Sextile. Mars and Pluto aspecting often means war. The different configurations say how big and how bloody it will be. The signs tell us who has the advantage. For Mars to take on Pluto in Capricorn (with Saturn in Scorpio assisting him), he will have to fight from the heart. He will have to find and use what is dear to him. I can’t help but think of a man who, in his heart, truly believes that women deserve to choose for themselves their own fate. Men need to stay out of the discussion. I want to take you back to July 1st, the day the sun in Cancer opposed Pluto in Capricorn. On that day, a number of women, men, and children stood on the steps of the Capitol building in Austin, Texas to state their case. There couldn’t have been a better day to do this. On 7/22/13, the vibe will be different, but similar. The sun is more about presence and visibility. Mars is more about action. Standing for something will not be enough on that day. One last piece I’ll cover for this post. On 7/20/13, Mercury will station at 13 degrees Cancer 22 min. On that day, Uranus will sit at 12 degrees Aries 31 min. They will be less than one degree from an exact square. Mercury’s retrograde period has something to add to the argument (any Mars-Pluto argument). He is not going to deliver his findings directly to Mars (or Jupiter), but he is going to drop it in the vicinity. And don’t forget that Uranus is in Mars’ ruling sign. So although Mars will exactly square Uranus (on 7/31/13) days after exactly opposing Pluto, I have a feeling he’ll do just fine. And don’t forget to check out our book Promotion! I do agree with you that the current political debate over House Bill 1 is a perfect manifestation of the current transits. I noted this myself a few weeks ago. If you look back in history to the 1910s-1920s to when women’s rights were also at the forefront of political debates, you will find an amazing coincidence! Particularly, look in 1925…. Pluto was in Cancer and Jupiter was in Capricorn! And they formed a Kite! Saturn was even in Scorpio (as it is now) and, instead of Neptune in Pisces, it was Uranus! 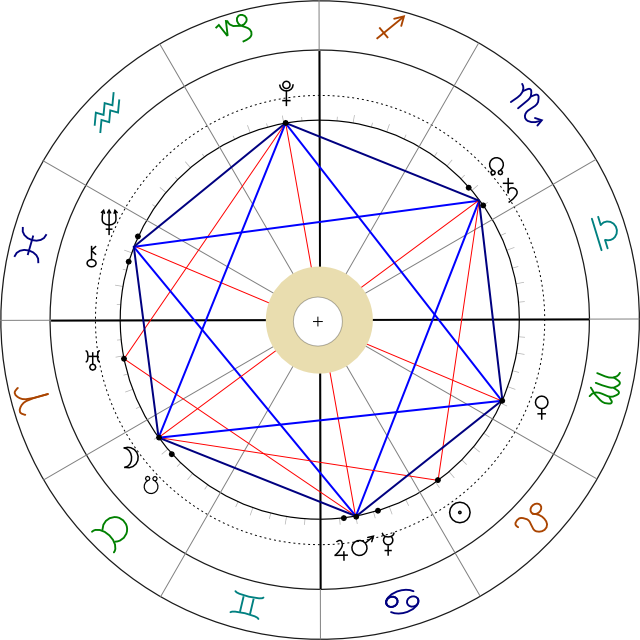 But, three of the four planets forming the kite that we saw on July 1st, were in the exact same formation and in the same signs: Cancer/Capricorn and Pisces/Scorpio. Juliet – first and foremost, I LOVE your comments! You teach me and keep me honest. And so does the Universe. After I published my post today, and before receiving your comment, the Universe said this to me: “Pluto opposite Mars is a pillar of Power.” They meant it in a positive way.